• All registration information for a bidder shall be current, complete and accurate. If bidder information changes at any time the bidder must notify auctioneer of changes immediately. A bid is a legally binding contract, therefore, all bidders must be 18 years of age or older. JNG Auction Services LLC / JNGauctions.com may, at its sole discretion deny registration to any person or entity. • Effective 9/1/13: All bidders are required to have a valid credit card on file with JNG Auction Services LLC. Furthermore, out of state bidders acknowledge that items must be paid for in full and picked up within the pick-up period posted unless prior arrangements have been made. JNG Auction Services LLC will charge the bidder’s credit card for the full purchase amount after the pick-up dates have passed if bidder has not already provided payment and made pick up arrangements including any applicable late fees. • Payment for purchases must be made by cash. This is the only form of payment accepted unless special arrangements have been made in advance if such arrangements are available. Personal checks are not accepted for payment. • All sales are subject to Michigan State sales tax in accordance with the laws of Michigan. If you are exempt from paying sales tax you must provide JNG Auction Services, LLC with a copy of your sales tax license and fill out a tax exempt form 3372 at the time you provide payment for purchases. Out of state buyers and out of country buyers must pay sales tax on all items including titled items unless stated differently in the auction terms. • All sales are subject to a 10% buyer’s premium. Buyer acknowledges and agrees not to retract their purchase offer. Buyer's premium is subject to change at any time and will always be posted for a particular auction. It may not necessarily be changed on this page. • Inspection times are posted for each online auction. Please be aware of these dates and times prior to bidding. Some inspections may be by appointment only in which case it is the bidders responsibility to arrange an appointment time with JNG Auctions prior to 2pm on the last day of the auction. • Buyer is responsible for making all arrangements for merchandise to be picked up and removed per terms and/or conditions listed for the auction. • All items purchased on our online auctions are to be paid for and picked up within the posted dates / times from the end of the auction. Special pick up days such as Saturdays will be announced if and when available. After this posted period we will assess storage fees to the buyer at a rate of $5.00 per day per lot unless special arrangements have been made and the items have been paid for. After 7 days from the end date of the auction there will be no refunds on any item purchased on the auction and upon this time payment in full is still required regardless of the condition or the availability of the item(s). Furthermore, we retain the right to resell any and all items not picked up after 7 days regardless of whether paid in full. If you require storage beyond 7 days it is strongly advised that you make other arrangements. • All items are sold AS IS WHERE IS WITH ALL FAULTS and with no warranty of any kind expressed or implied. Buyers are encouraged to physically inspect any items they may be interested in during the posted inspection times. Bids cannot be withdrawn after the auction for any reason. Buyer understands that descriptions whether written or verbal regarding any item are not guaranteed and JNG Auction Services LLC / JNGauctions.com or Seller assumes no responsibility for any errors or omissions. • JNG Auction Services, LLC and JNGauctions.com is not responsible for actions taken by the owner, seller, or buyers before, during or after the auction including but not limited to typographical errors, misprints, loss of merchandise or money, damage or failure of equipment, due to your visit to this auction site. • At the end of each auction the buyer will provided a receipt for his/her purchases via the email address provided upon registration. Buyer must maintain current and correct mailing address, phone number and email address(es) at all times. • The buyer is responsible for removal of purchased items within the pick-up dates listed for the auction. Removal is at the risk, expense and liability of the purchaser or purchaser’s representative(s). Any items or any part of items not removed within the allotted time frame or any items abandoned will be resold or disposed of at the buyer’s expense. • Failure to pay for and/or remove purchased items per posted dates and times may result in bidder being banned from any future auctions. • Anyone entering the facility for inspection, drop off, pick up or other reasons must complete a sign sheet and waiver of liability. Refusal or failure to do so may result in being banned from any future auctions. • JNG Auction Services, LLC reserves the right to terminate, change or suspend any aspect of the auction sale at their sole discretion for any reason. • Buyer expressly agrees to indemnify and hold harmless JNG Auction Services LLC / JNGauctions.com and their assigns from and against all claims, expenses, losses, damages or liability including but not limited to attorney’s fees either directly or indirectly caused by or resulting from any act including the negligent acts or omissions of JNG Auction Services LLC / JNGauctions.com or anyone acting in his/her behalf in connection with or arising out of auction. • The auctioneer may, at its sole discretion, void any sale, temporarily suspend bidding and resell any items that were affected by any malfunction. The decision of the auctioneer is final. • Buyer is responsible for their bidding number and password and should keep this information in a secure place. 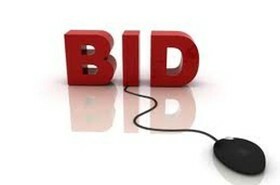 Buyer is responsible for any bids placed using his/her bidding number and password. • Buyer agrees that by accessing this site, you accept without limitation, all of the terms and conditions set forth and to comply with all applicable laws, statutes, ordinances and regulations regarding your use of this site. Furthermore, buyer agrees that use of this site is at your own risk. Neither JNG Auction Services LLC / JNGauctions.com, affiliates, officers, directors, employees, agents, licensors, or third party content providers warrant that this site will be uninterrupted or error free, nor do they make any warranty as to the results that may be obtained from the use of this site, or as to the accuracy, completeness, reliability, security, or currency of the site. 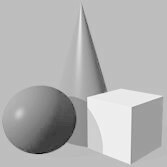 • JNG Auction Services, LLC and JNGauctions.com does not imply or intend for anything contained herein to be of legal advice. Terms and conditions are subject to change at any time with or without notice.